British Airways announced yesterday that it is to increase the cost of some Avios redemptions on American Airlines and Alaska Airlines flights in the US. You can read the full announcement on ba.com here. For US residents – and UK residents on holiday in the States – US domestic flight redemptions represent good value because of the minimal taxes ($6). To be fair, the biggest benefit was felt by US residents. The major US frequent flyer schemes charge 25,000 miles for a domestic economy return flight, however far. This made short hops, such as New York to Boston, very unattractive. When Avios was launched, with its distance-based redemptions, it was a dream come true for those in the US. The cost of a one-way flight from New York to Boston, costing 12,500 American Airlines miles, could now be had for just 4,500 Avios. Given that the British Airways credit card in the US has an occasional sign-up bonus of 100,000 Avios, albeit with a substantial spend requirement, you can see why people were excited about this. The new First Class pricing is crazy. Many US flights on two-class aircraft are sold as First and Economy. (You also find this on Qatar flights around the Middle East.) This means that a ‘First Class’ seat from New York to Boston – which is effectively a slightly bigger seat and not much more – will cost 60,000 Avios return! These ‘First Class’ seats are nothing of the sort. The Avios redemption chart is now beyond the understanding of the vast majority of members, to be honest. It is becoming a joke, if it wasn’t already. The bottom line is that, if you ask ‘How many Avios is an economy flight to New York on 2nd July?’, the answer would run to about 200 words …. Full details on the US pricing changes are on ba.com here. Remember that you can book until 2nd February, for flights 355 days beyond that, at the current prices. Bits: IHG's best sale is coming back, BA launches LHR to Billund, Hyatt to buy Starwood? On the upside we are seeing some great Business class fares available to all over the last 12 months (great example is today’s offer to the Maldives). I will continue to pick up miles during by normal day to day spend and work expenses. However, the time and cost of “Chasing miles” via promotions and offers, is mostly borderline worth it these days. In the old days the time and effort was worth the rewards but now it is just not the same. I think before airmiles were the only way many people could ever afford to fly long haul in J or F. Now, with J at least, price has come down, at the same time as airmiles cost has gone up and availability become more scarce. It basically has turned things on their head. Short haul economy flights, RFS et al are now the real money savers. Long haul, esp TATL is hard to justify with avios over the cash prices available. It is disappointing though that the great exEU fares we have seen remain unavailable in the UK. This cannot simply be explained by APD because if we discount that, exUK fares remain substantially higher. Witn exception of regular Finnair sales and a few other bits and pieces such as RJ BKK offer, a typical far east sale fare from UK regions is around £1850 in J. Taking away the APD still leaves exUK sale fares still £600-800 higher than the best of the typical exEU fare sales we have seen in the past 18 months. Unless something dramatic hppens the positioning flight seems here to stay. I think its just a matter of the airline companies knowing that we will pay more for flights from the UK. I tried to price a one way ticket with norwegian last week from Fort Lauderdale to either Gatwick or Oslo – despite the taxes being exactly the same and the flights on the same day the one to Gatwick was over £150 more expensive. As far as I can see it is a similar situation with credit card bonuses as noted above – even a Britich Company (BA) offers a significantly better sign up offer in other countries than their own. Not only are we screwed by the UK government by taxes we are also screwed by companies who operate in the UK. 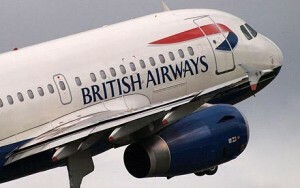 Signup offers are down to the banks, not BA, they hzve to buy theavios from BA. Presumably, the higher bonuses in USA aredue to competition but you need to factor in most USA cards have annual fees and target spend can be hefty. No, the bonus is down to the 2 per cent swipe fee shops pay in the US compared to the coming 0.3 per cent which makes cards hugely lucrative. Then how come we didn’t get better sugnup bonuses here when fees were higher. The bonuses on BA amex not too bad but the others were abysmal. 0.3% is already here for the larger companies on VISA, it has been since 1 Jan.
Taxes are down (a bit) over last year. Economy Avios redemptions are cheaper than last year. A couple can easily get 100k free Avios in a year with Amex churning and cross-referring. Just depends how you look at it. Even if you live regionally and ignore Avios, there are still excellent hotel deals to be had which can save hundreds when travelling. I was not suggesting it’s worthless Rob, just that it’s worth less effort because the return is declining relative to the effort involved. I will continue to play the game but with greater caution to the effort I invest and the price I pay. After all, the cheap J fares could evaporate uite quickly if the € strengthens and/or the oil price rises. In recent moths I have focussed more on hotels than flights. By middle of next month I will have 60k FC miles; it’s something of a dilemna trying to decide whether they are worth more to me as 85k IHG points plus spire, or a ow UC flight HKG-LHR flight. In monetary terms the UC flight is better but if I struck it lucky with pointsbreaks the former could be better. Ako need to factor in what is most useful to me in short term given we will likel see a FC devaluatiin sometime soon. Good news..with the massive Avios bank sign ups on offer, all their awards should start at 10 k.
In a sense, the redemption chart can’t be described as ridiculous because officially there is no chart. We may talk about fixed, discrete bands for simplicity but BA no longer quote these. And as we see now there are situations that break the “rules”. What is ridiculous is that BA can’t create a sensible calculator that can show the peak / off peak pricing. The website calculator will only show the pricing for today (without telling you is today is peak / off peak classification) which certainly isn’t the day you’ll be looking to book. And even that calculator is unavailable in the US, presumably because it looks at “today” on a GMT basis. Pathetic or deliberate? Probably the former! One advantage of this is that the Americans will be using more of their avios balances for their US domestic flights leaving them with less for transatlantic travel meaning a little more hope for us Brits to nab those two club world award seats per flight. And yet, I’ve just got over 17p per avios on a one way RFS redemption LHR-DME. yes, i saw pricing for Moscow is good with current atm also with the deals ending 2Nov. How did you manage 350k Avios in 3/4 months? Only 1 new card 20K, forgot about spouse referrals lol otherwise we could add on a few thou. Anybody could have done similar this Q, too easy. I deffo think sticking 130K in the bank @ 1p was a bit of a non-brainer because whilst it may not be the cheapest, ie drags your average cost up, you can’t do much without a buffer holding if a decent opp comes up. There is another risk that long term IAG will encourage ‘simplification’ which will actually be lowest common denominator for everyone…i.e. Worst case for all expect the airline. Not sure complexity and confusion rewards the diligent but maybe those who have the available time to get all the rewards and perhaps the finances to get them also – therefore those who are not really as in need of them. As I have said before I do think part of the reason for the reduction in bonuses, rewards etc etc is due to some peoples greed. Unless the complecity zrises from effortd to plug the loopholes. Haha yeah I thought the same thing when I read this article. Complicated is good for us. They are less likely to close loopholes that fewer people take advantage of. Average people don’t actually like or understand complexity. They deride it and criticise it instead of seeing an opportunity. Which is why I don’t post on HUKD any more. Waste of my time. It’s only really thanks to Morgie (who I assume is a reader here) that the free money Amex deals now actually tend to go positive – and they’re simple enough to understand, but the average HUKD user not so long ago thought ‘toffs’ and voted negative. Harry, just curious as to where these amex free dosh offers are posted. Certainly not on membership offers! I know we pop them on here if we find them, but just asking if you know. Agree with your point of having that stash in place, we did that the last 50% bonus on BAEC. So won’t have to buy any, hopefully for many years to come. Got a big stash on the QR J, which helped. And I bought a printer! Hi Polly, Morgie (bit of a star) and a few others post them on HUKD when they spot them on their Amex a/cs, which is the first place the offers usually appear. I think its a case for the vigilant there is the opportunity of actually scoring a point or two accepting that we Brits are travelwise screwed more than most. How we can have ‘Fuel surcharges’ also beggars belief but that’s another gripe. Since joining HFP I’ve learned how fly in business class to Hawaii and back for £1000 and get Avios. I’ve learned that it can be cheaper flying to the Middle East out of Copenhagen and get Avios on Qatar and experience their Biz class that makes BA business class redundant. At the moment if we are clever, there is a ‘double whammy’. There are deals to be had in business class and we get Avios to go with them. I’ve just booked another Dublin to the States return for £1k and the Avios came in very handy to use to get to Dublin. I agree Keith. That’s what we are doing right now. The 241 in F LH is still fab value, worth us referring each other for annually. We don’t take advantage, as it’s worthwhile not abusing. Let’s hope for another Plat bonus this year for adding card holders to the account. Great boost to the accounts last year. Then do a Long Haul J on QR every second year to gain our Silver TPs . Reckon those ex EU offers are here to stay. BA and QR must fill those J seats somehow. Just takes a bit of methodical planning, and plan for at least two years ahead! So we will plan another LH QR J ex EU in two years time once we drop down to bronze. No brainer.